Exclusively Ours! An Allan Robin Design!! Cadmium, Lead & Nickel Free!! New! 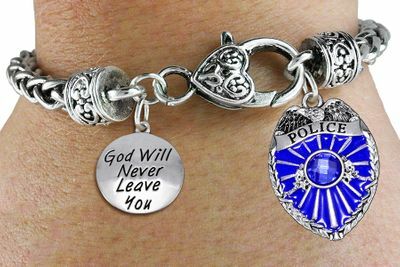 On An Intricately Detailed Antiqued Silver Tone Chain Bracelet, With A Heart Shaped Lobster Clasp, Comes A Beautiful Crystal Accented And Color Filled Police Shield Charm And A Silver Tone "God Will Never Leave You" Charm! 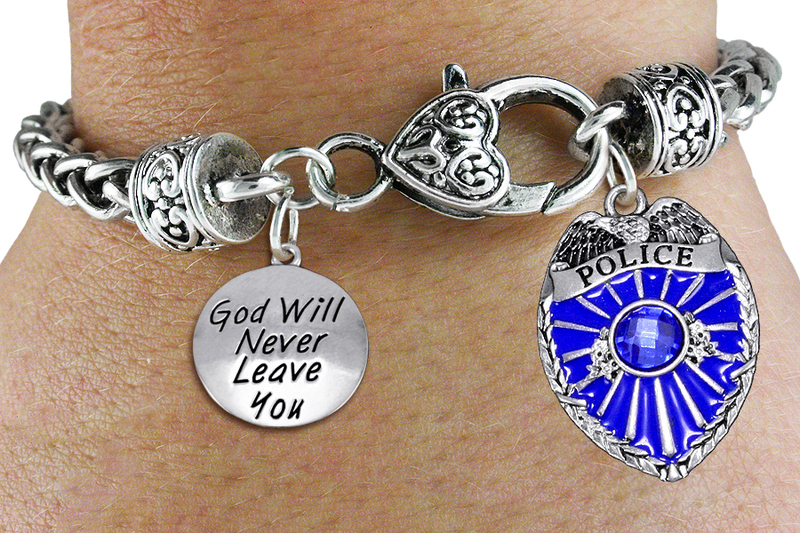 Bracelet Measures: 7 1/2" Long.